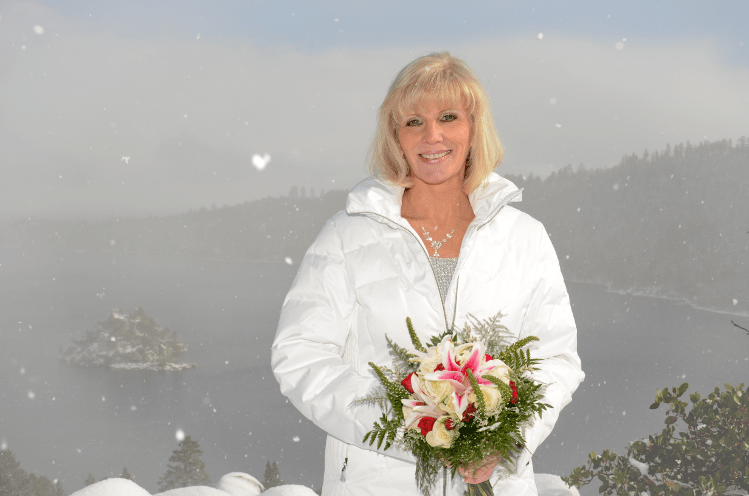 Wedding locations quickly become booked solid through Tahoe’s summer months, which means your dream venue may be unavailable for a year or more. 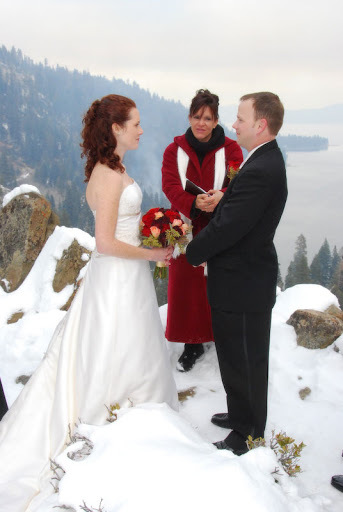 By planning a winter wedding, you’re far more likely to secure the venue you want, the date that you want, without peak season prices. Winter’s snowy bare branches and blankets of white provide an ideal canvas for bold splashes of color. Bright and deep accent hues pop while soft pastels such as “tiffany blue” look ethereal when contrasted against a snowy landscape. Incorporate nature’s best in your theme. Consider a chocolate brown Tahoe pine-cone motif, or weave winter wonderland symbolism throughout the event. 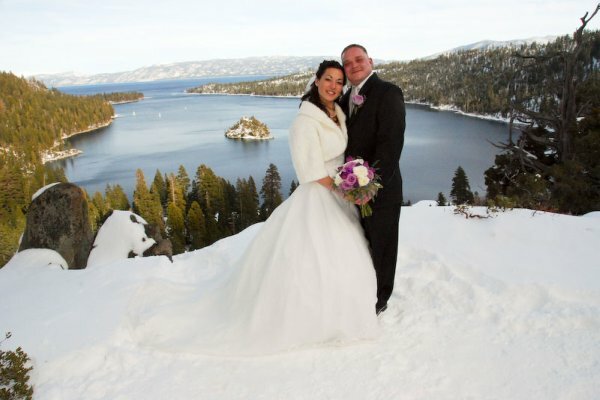 The Tahoe winter sets the stage for stunning wedding photos. From Mount Tallac to Heavenly Mountain many of our mountain ranges are snow-covered, and the South Shore’s magnificent vistas also make particularly breathtaking backdrops. Winter’s overcast weather creates flattering, ambient lighting. Plus, you don’t have to worry about squinting into the sun during the portrait session. The North shore experiences more rainfall in winter than any other season so if you’re planning outdoor photos, have an indoor back-up plan. There are fewer public holidays during the cold months – which is ideal if you’re planning a multi-day event, as your guests’ accommodation options are likely to be plentiful and more budget-friendly. Furthermore, your wedding is unlikely to clash with your guests’ own holiday-weekend plans. Even boutique luxury accommodations may have reduced room rates during November, so you can get luxe for less. However, if you’re planning a ski resort wedding, you’ll be competing for space with thousands of snow-goers, so you’ll need to book accommodation well in advance. 6. Pamper party If hitting the bars in town seems a little ‘been there, done that’ for your hen party, suggest to your bridesmaids that they make the most of winter by embracing the season. 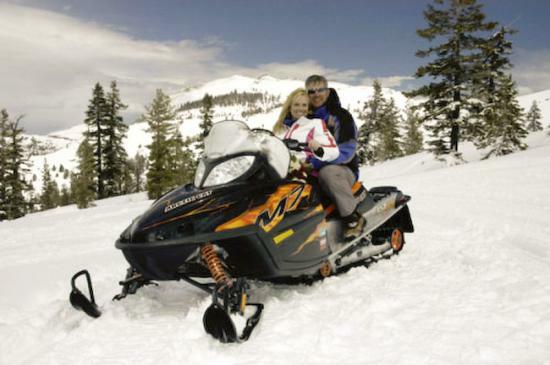 Why not pack up and head off to the mountains for a ski/snowboard weekend? By organizing a group lesson for newbies even the most timid snow bunnies can enjoy hitting the slopes. If pampering is more your thing, what better place to kick back in winter than the hot springs?